We teamed up with legendary Japanese brushmakers to celebrate the Year of the Pig with a special limited edition release. The Lunar New Year Brush is an artfully designed powder brush that’s as delightful to use as it is to behold. Master brushmakers carefully bundle the bristles by hand to ensure your products go on smoothly and seamlessly every time. The perfectly weighted handle features a Year of the Pig design, illustrated by artist Steph Fung / mochichito and rendered in metallic makie lacquer. Tap brush into pressed or loose powder and dust over your skin. So first off let me say sorry, as I’ve only ventured into animal hair brushes the past 8 months or so, and at first bought a lot of WG and Sonia G Saikoho goat brushes, and just recently ventured into blue squirrel. I don’t own any Chikuhodo brushes yet so this is my first. But compared to the Wayne Goss Airbrush, this thing is stunning. I thought the airbrush was to die for in softness, but this brush is so much softer, and I didn’t think that was possible. I will definitely be buying more Chikuhodo brushes after this!. I also showed it with the WG #2 for size compairison. Thanks Beautylish for the excellent customer service yet again!! I’m not going to lie, I mostly bought this for the art work, but it’s also a gorgeous brush of the perfect size and weight with the softest blue squirrel hair, which is a joy to use for powder and blush. Side by side it’s pretty much indistinguishable from the Chikuhodo Makie Series MK-MO Powder Brush (apart from the art work of course) My photograph shows both for comparison, the only difference being that the Makie Series brush has been washed and has consequently become a bit more ‘fluffy’ The pig design is beautifully rendered and is absolutely adorable. I am thrilled to have been able to add this brush to my collection. 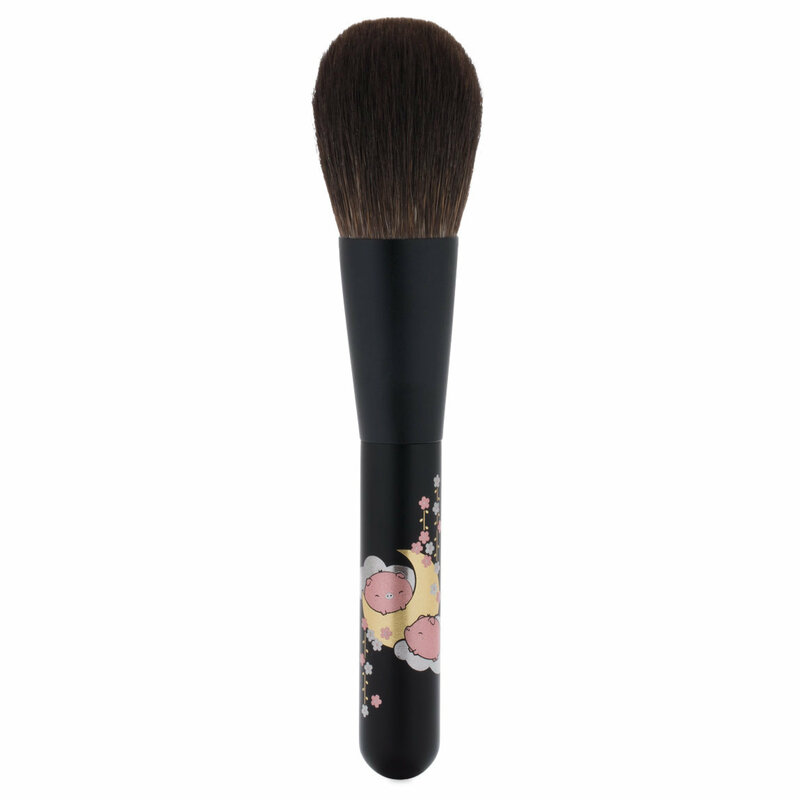 Not going to lie, I didn't need this brush, but the makie print is way too cute. It's just as I thought, another version of the MK-MO. The hair is incredibly soft and bundled perfectly. If you didn't care for the MK-MO's makie print and you don't mind not having a fancy box, AND you love these little pigs, definitely pick one up if they come back in stock. Way cheaper and way cuter IMO. I'm a huge Chikuhodo brush fan and this one did not disappoint, especially considering the price. 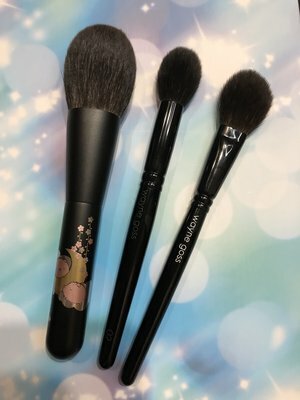 This brush is right on par with the Makie series powder brushes. The handle is of the same quality as the Chikuhodo Makie Series MK-MO powder brush, as well as the super soft and luxurious blue squirrel hairs. That being said, I do prefer the glossy lacquered handles of the original MK powder brushes, but the matte finish is still very nice and the art work is absolutely beautiful in person. 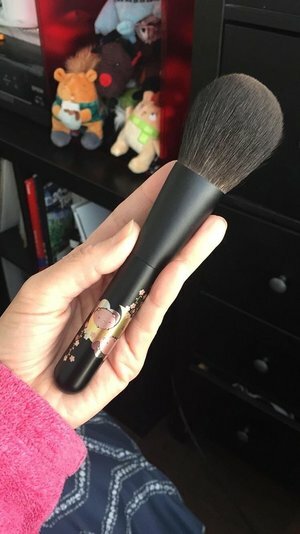 I definitely would recommend this brush over the MK-MO brush, but only because of the price, which in my opinion should have been priced in line with this brush. 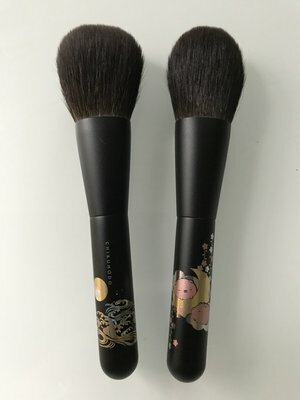 However, to be fair, the brush hairs on the Lunar New Year brush seem slightly more compact with slightly less brush hairs than the MK-MO brush, but it's still a beautifully made brush. It works like a dream for face powders, blush, and highlighters. I LOVE it! What I love most about squirrel hair brushes in general is that they apply powder products without disturbing my foundation, and is great for people with sensitive skin. A must have for the collector and a perfect entry level brush for anyone wanting to experience blue squirrel powder brushes for the first time. 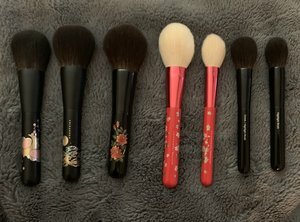 Photographed below is all of my Chikuhodo powder brushes in case anyone is interested in seeing how it looks in comparison to the others in my collection. This is a fabulous brush from the artwork to the actual brush. Love the little piggies on the handle. The blue squirrel is so soft. I don't wear much powder and this brush lays down just the the right amount of powder down. Not too much and not too little. Perfect! Really nice soft hairs on this brush. Great price point. Happy I purchased. Worth every penny. I’ve never owned a chikihodo brush before but i do have a blue squirrel hair brush by Wayne Goss so I knew i loved the softness. These brush hairs are also incredibly soft, though less pliable than my Wayne Goss highliting brush. I think that’s perfect for this face brush. It still applies setting (& other face) powders very softly so it doesn’t disturb the base underneath, but it allows better control and precision for any colored face powders you’re wanting to use it to apply, such as bronzer. Of course, i chose this particular brush for its adorable design (I’m a year of the pig) and it doesn’t disappoint. Such a unique piece for a pretty decent price from what i can tell chikihodo usually charges for this brush.